Starmobile brings feelings of nostalgia with the UNO F301 flip phone. The new device expands feature phone lineup. 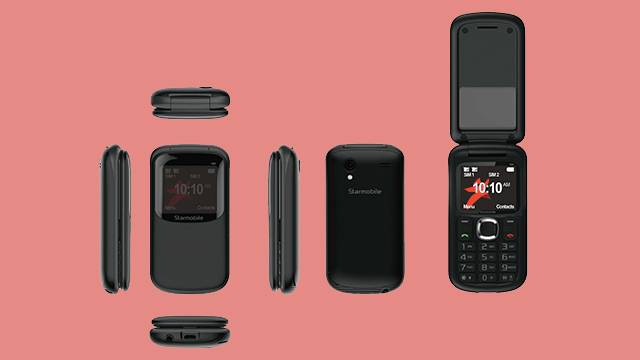 The Starmobile stirs nostalgic feelings with the UNO F301 flip phone. This is a modern take on the classic clamshell design. When closed, the phone is protected by the cover and prevents accidental presses. The Starmobile UNO F301 measures in at 110mm by 53.2mm. It comes with a 1.8-inch colored display, a VGA camera with flash, an FM radio, and an AllConnect Quad GSM. The feature phone is now available with a suggested retail price of PHP 899, and comes in black and white colors.